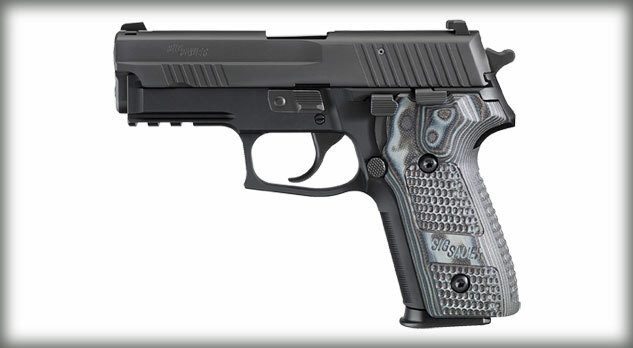 The Sig Sauer P229 is one of the most popular service pistols on the market today. Positioned in the market in the same manner as the Glock 19, it is the "medium" sized, do anything pistol in Sig Sauer's 9mm and .40 S&W line up. The "Extreme" series from Sig Sauer offers pistols which come stock with a number of enhancements, including short reset triggers for fast follow up shots, SIG-LITE night sights, and an aggressively texture G10 grip which is both attractive and effective.